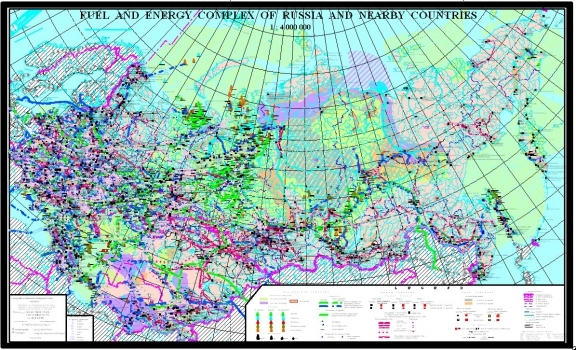 Cartographic Information Center INCOTEC offers cartographic and information products on fuel, energy and other industries of Russia, nearby and far away countries. Our maps, accompanied by detailed economic and statistical data, cover all branches of the fuel and energy complex - oil, gas and coal industry, electric power generation, pipeline transport, petroleum refining, gas processing, etc., and give a good insight into energy sector activities. Superior quality and high professional level of our developments are based on comprehensive and reliable information we have been accumulating and systemising for more than 25 years. We also develop exclusive cartographic and information products on customer's order. The application of modern technology and top-grade materials guarantee the high quality of our full colour maps and other products. A good map always gives a new impetus for your enterprise since it is the shortest way to customers and resources.